The capital of United States has quite a few. When visiting the capital of United States, the first thing you think about may not be swimming pools. 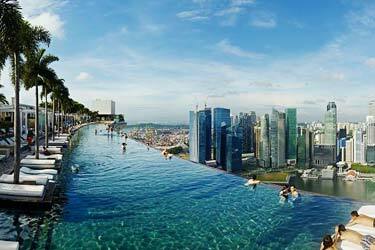 But the fact is that there are quite a few nice rooftop pools in Washington DC. 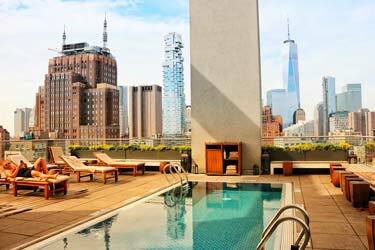 Many of the DC rooftop pools are located at hotels with a sophisticated and relaxed atmosphere. But there are also some rooftop pools DC has to offer with a cool party feeling. 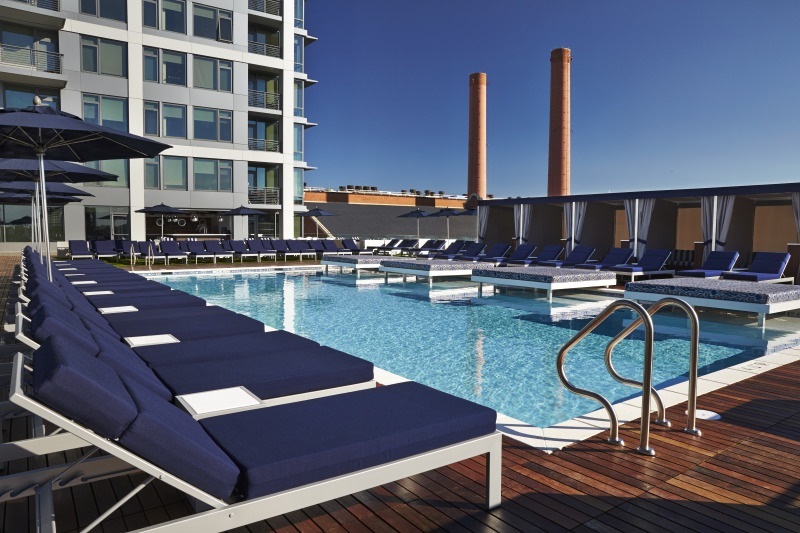 Here’s our list of the best rooftop pools in Washington DC. And if you rather have a drink with a view than swim with a view, you can find the best rooftop bars in DC here. 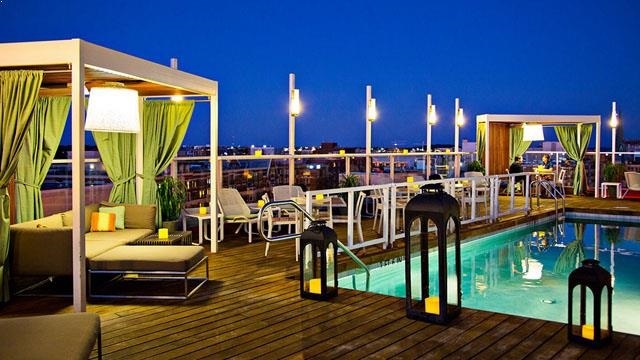 DNV Rooftop Poolbar is one of the most classic and most popular rooftop pools in Washington DC. A local favorite with both live music, Japanese street food and delicious cocktails. The whole roof terrace is inspired by Tokyo, which creates a superb party feeling. 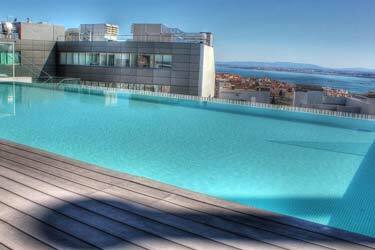 The rooftop swimming pool is quite small, but still very luxurious and with cool city views to gaze out over. 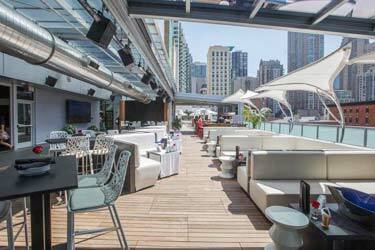 Great drinks, nice atmosphere and dazzling views are some of the benefits with DNV Rooftop Poolbar. This is a DC rooftop pool and fitness center only available for members. 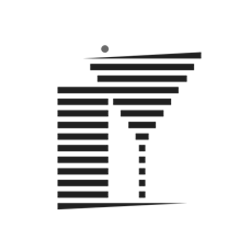 Penthouse Pool and Lounge is located in the center of Washington right between the Canal Park and the Yard Park. 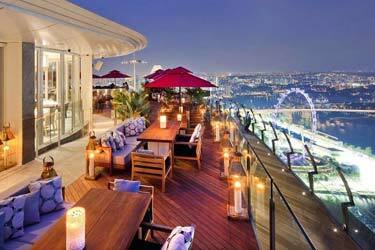 The rooftop bar serves healthy and refreshing drinks with focus on fresh berries and fruits. Open from 10:00 AM to 1.00 AM. For those who’d like to make it extra luxurious, you can rent private cabanas for $250 with HDTV. 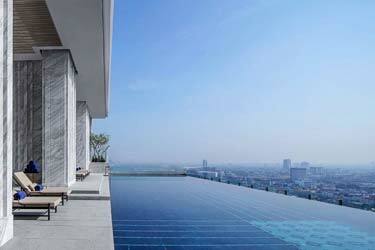 Joie de Vivre Hotel have the largest rooftop pool in Washington. The pool is open for the hotels guests and also for non-guests, if they’re willing to pay an entrance fee of $35, from 8:00 AM – 5:00 PM. For the hungry and thirsty ones, the rooftop bar serves drinks and tasty bar bites such as classic sandwiches and more dessert like dishes. Like many other DC rooftop pools, The Liaison Capitol Hill offers private cabanas for $150 - $250. A rooftop pool in Washington with a lot of activities. Sunrise yoga, Sunday liquid brunch and chilled bar hang out. From early morning to late evening. The heated rooftop pool is open from 7:00 AM to 6:00 PM every day of the week, while the actual rooftop bar is open later in the evening. On Wednesdays and Thursdays, the hungry ones can enjoy poolside barbeque beginning from 5:00 PM. A daily pass at The Rooftop at The Embassy Row Hotel costs $30 and includes a lot of nice amenities. An urban oasis perched on top of the hip Mason & Rook Hotel in Washington. 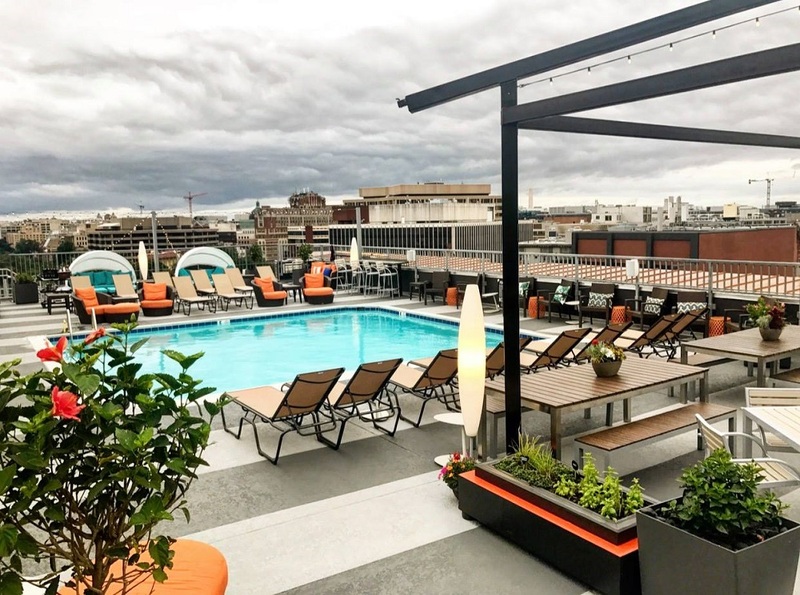 This magnificent roof terrace offers the hotel guests lounging sessions, a lovely rooftop swimming pool and dazzling views over the DC skyline. At 5:00 PM the rooftop bar opens up to the public where you are welcome to enjoy classic cocktails in a party friendly atmosphere. 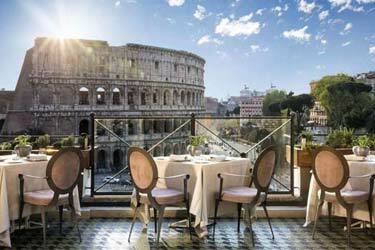 This rooftop can also be rented for private events and such. 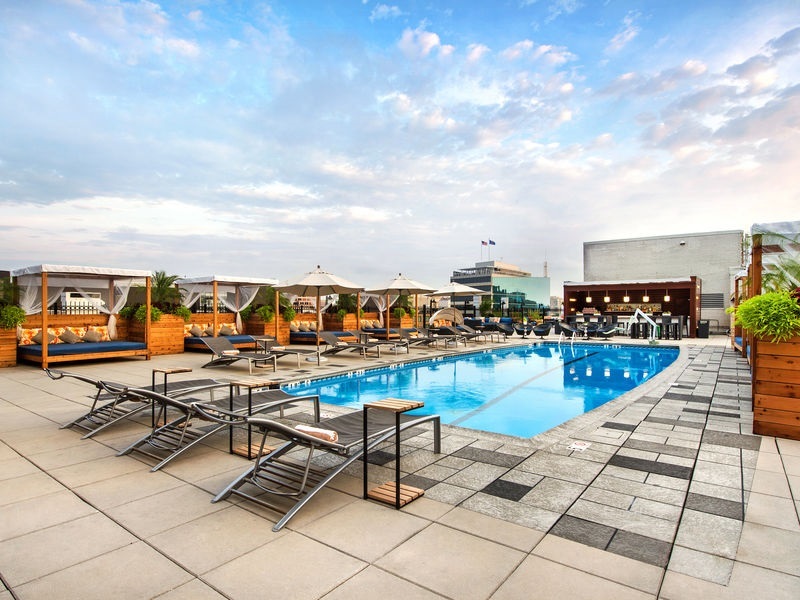 One of the most popular rooftop pools Washington DC has to offer.